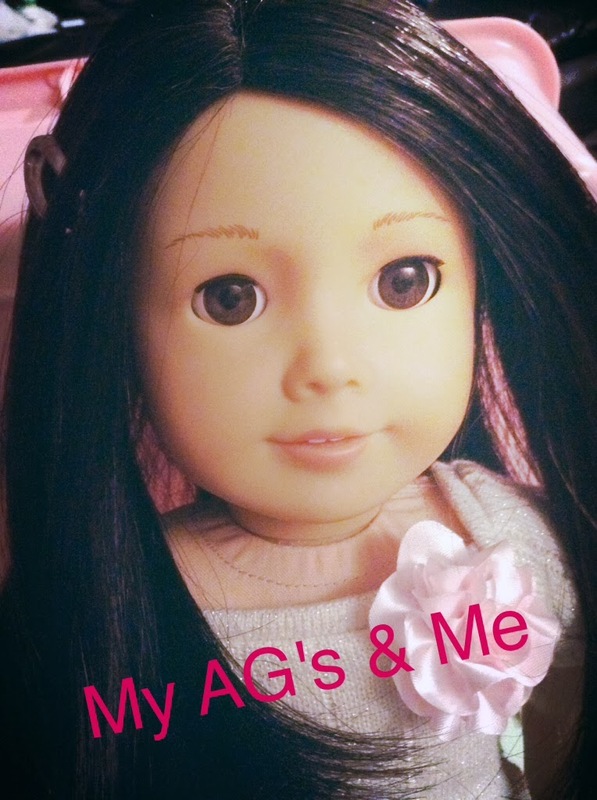 My American Girls and Me: Meet Hannah's dolls! Elix- Elix was my first doll which I received for Christmas in 2011. Elix is girly girl who enjoys sports. She loves to win games and never misses the latest football game on TV. Kylie- Kylie was my third doll which I bought in 2013. Kylie is sweet and kind to everybody. She doesn't really like Emily. Funny, my name is Hannah! I love your dolls Hannah! Thank your sis for inviting me to contribute to this blog! Your dolls are really pretty! Plus, I love the name Elix! Thank You! Hannah made up the name Elix! 1. Please no foul language. 2. No rude or hurtful comments. 4. Nothing too off topic. I will not moderate comments unless I have to. Thank You! This is my cousin's doll. She is My American Girl #51. More News About Goty 2015! Copy and Paste To Your Site! I know it's a little big so don't be afraid to shrink it. This Blog is Not Affiliated with American Girl, Mattel or any other links or material posted on here. ©2014. Awesome Inc. theme. Powered by Blogger.